Night camping at sea coast under clear blue sky. 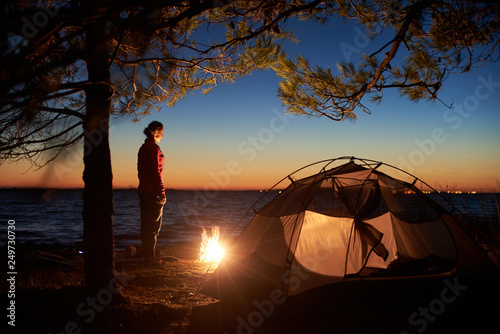 Attractive tourist woman having a rest alone at campfire near tent on clear water and distant lights on horizon background. Tourism and recreation.